Having trouble with tablelayoutpanel. Was previously working. Not sure if the latest update has broken something. 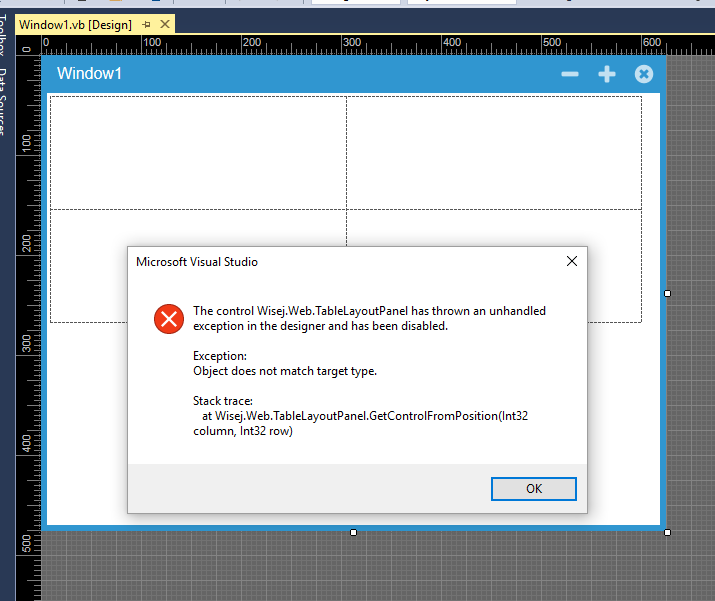 Dragging tablelayoutpanel onto the designer. Unable to put any control into it. If you click anywhere in the table you get an error as per attachment screenshot. I’ve tried uninstalling/reinstalling. Tried it in 2013 and same thing. Both for c# and VB.net projects. Yep, I had that too. It’s fixed in the dev build.